Feltworks is made of 100% wool from Nepal in luscious colors. Use this colorful roving wool to add extra color to any of your needle felt projects! 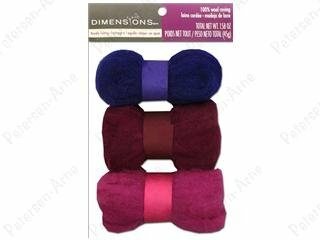 This package contains a total of 1.58oz of roving wool in three colors.